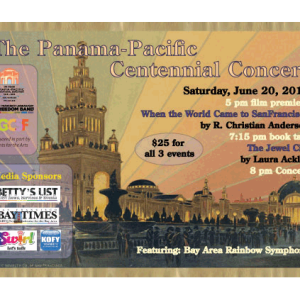 World premiere of the documentary-drama celebrating the 100th anniversary of the 1915 Panama-Pacific International Exposition in San Francisco. The film pays tribute to thousands of artists, architects, designers, performers and attendees worked together to celebrate the city’s return as a great seaport and business center. It is a celebration of a city and its people as told through the eyes of one remarkable woman. Writer/Director R. Christian Anderson believes this production will bring the audience closer to the fair than anything previously because the story of the fair is conveyed to the audience in a dramatic narrative style, not strictly as a”dry” documentary. 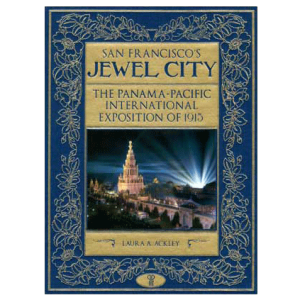 In 2015, San Francisco will celebrate the centennial year of the “1915 Panama-Pacific International Exposition” held there. This new feature-length narrative drama will commemorate this excitingt event. Though this remarkable world-class fair lasted only 9 months, it hosted almost 19 million visitors. 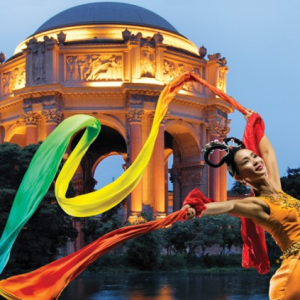 It was a showcase for over 2 dozen foreign countries, 27 states, and every county in California. 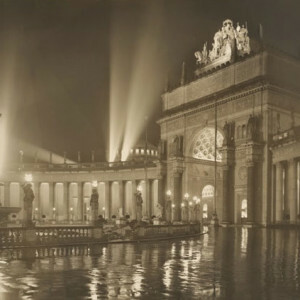 Though the fair was meant to salute the newly-built Panama Canal, it became a celebration of the rebuilding of San Francisco following the devastating earthquake and fire of 1906. 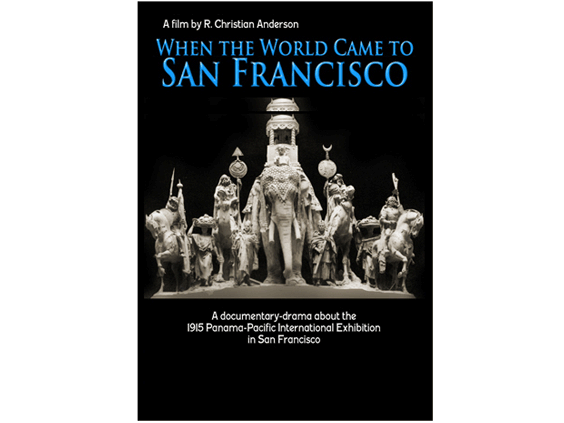 The film is a labor of love by film maker R. Christian Anderson. He says: “I’ve had a head start, since I’ve been collecting memorabilia and souvenirs of historic San Francisco for over 38 years. For the past year I’ve been painstakingly collecting, sorting, and digitally restoring over hundreds of images from the fair especially for this the film”. 260 of the images belonged to the late Reyna Victoria Belasco Rosenthal, niece of the famed New York producer David Belasco. Reyna’s father Solomon Belasco was a shareholder and, with her family, she was able to visit the fair 14 times over the course of its run. The film will be told in dramatic style through Reyna’s eyes, as she might have remembered it. An original song has been composed especially for the film with music by John Thomas Bullock and lyrics by R. Christian Anderson.